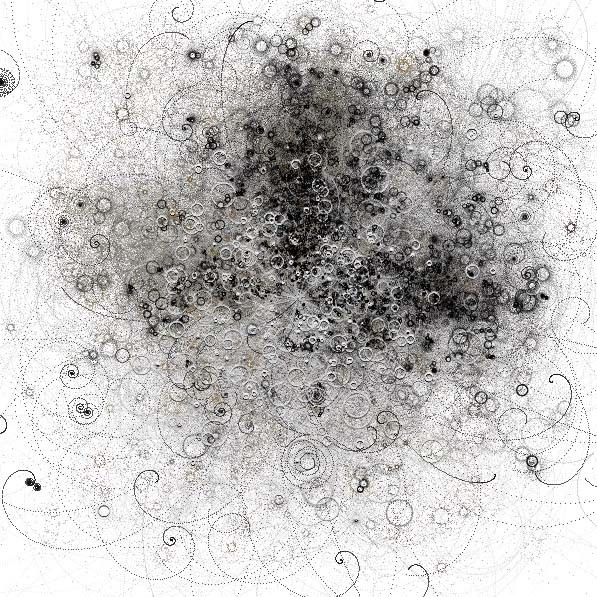 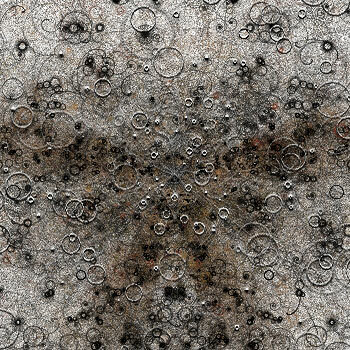 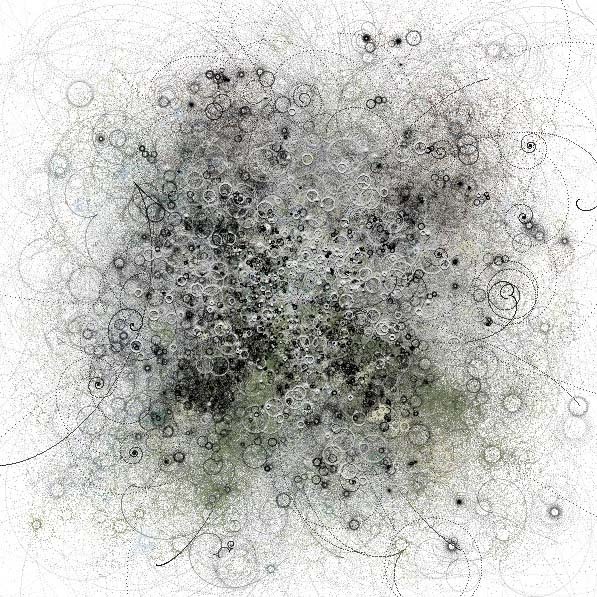 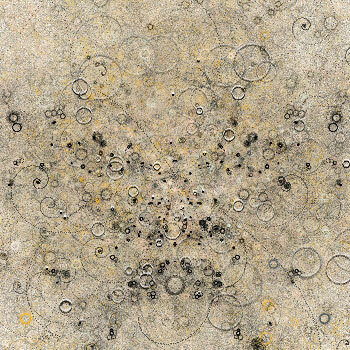 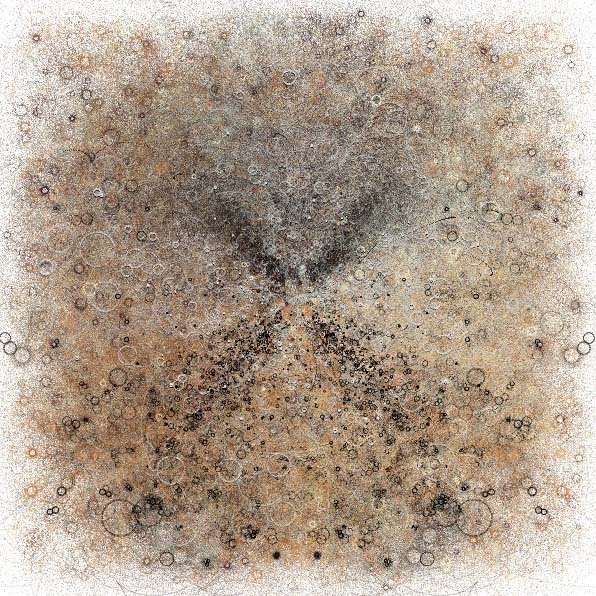 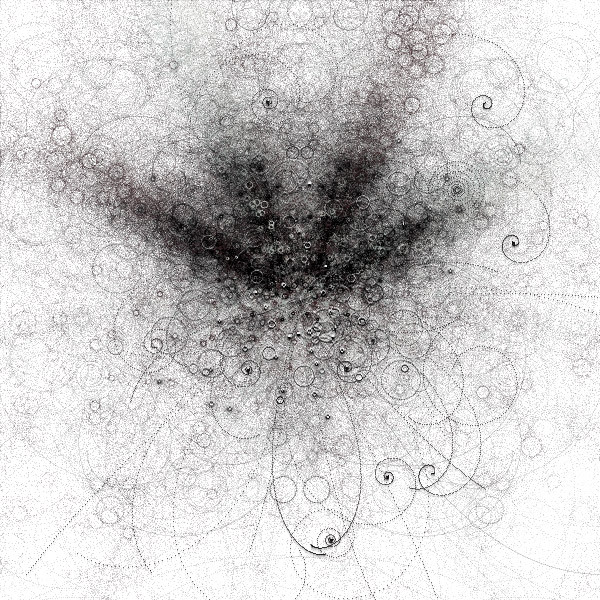 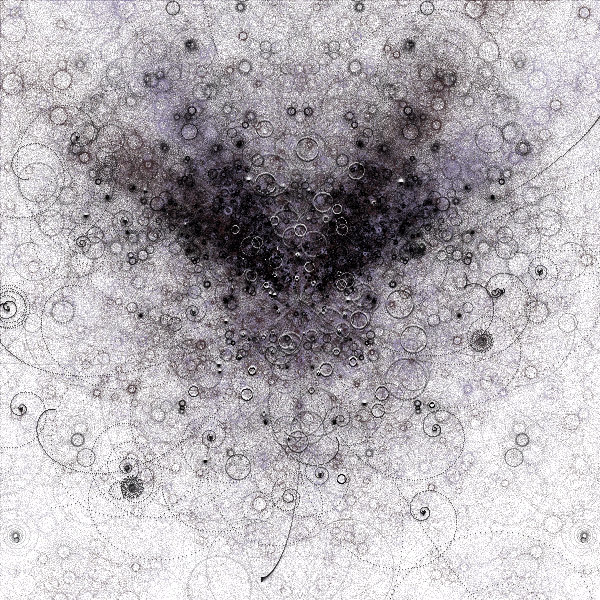 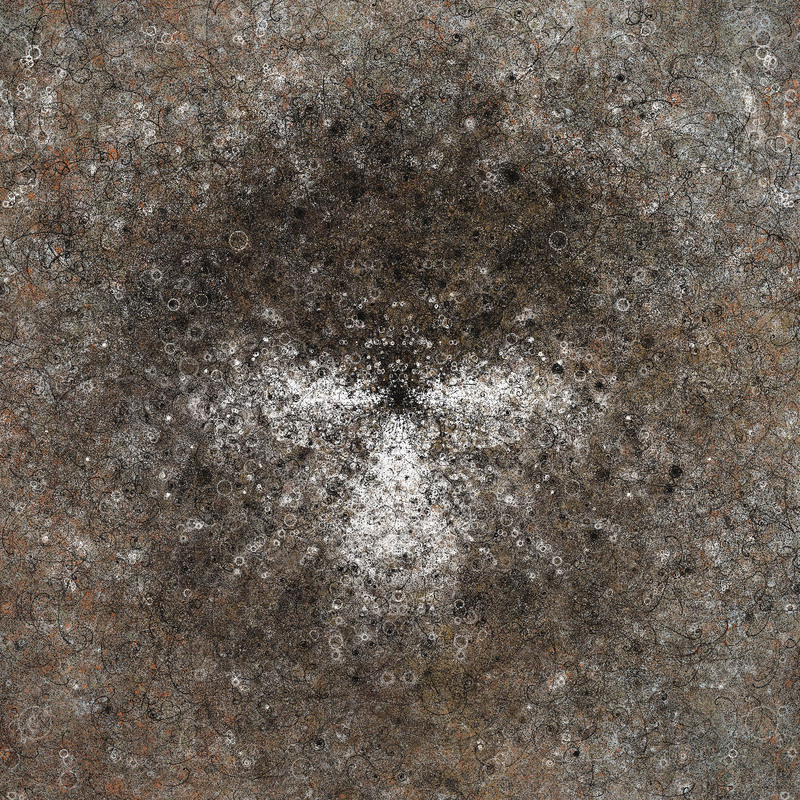 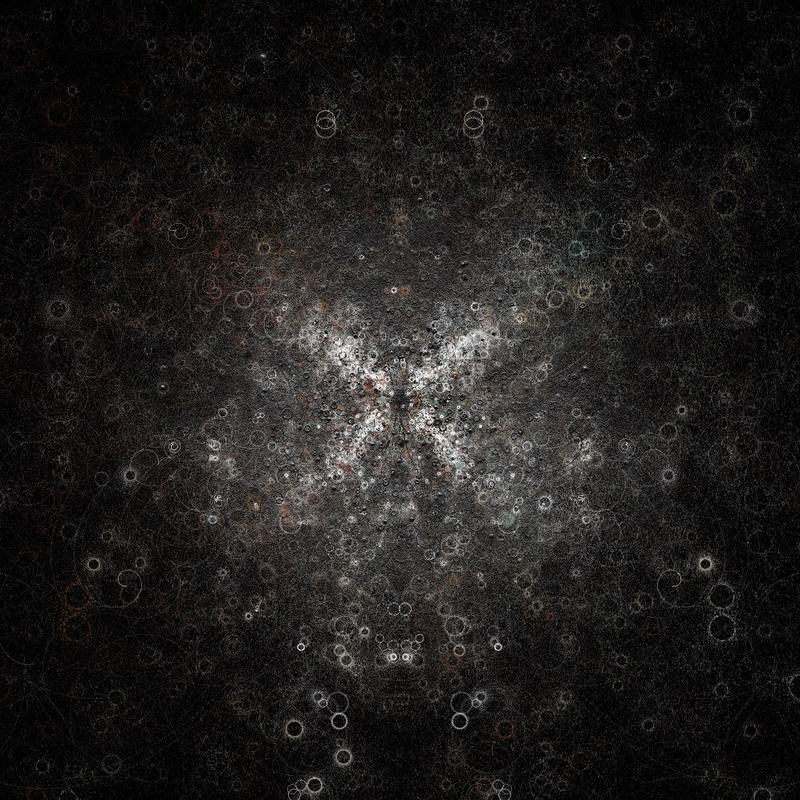 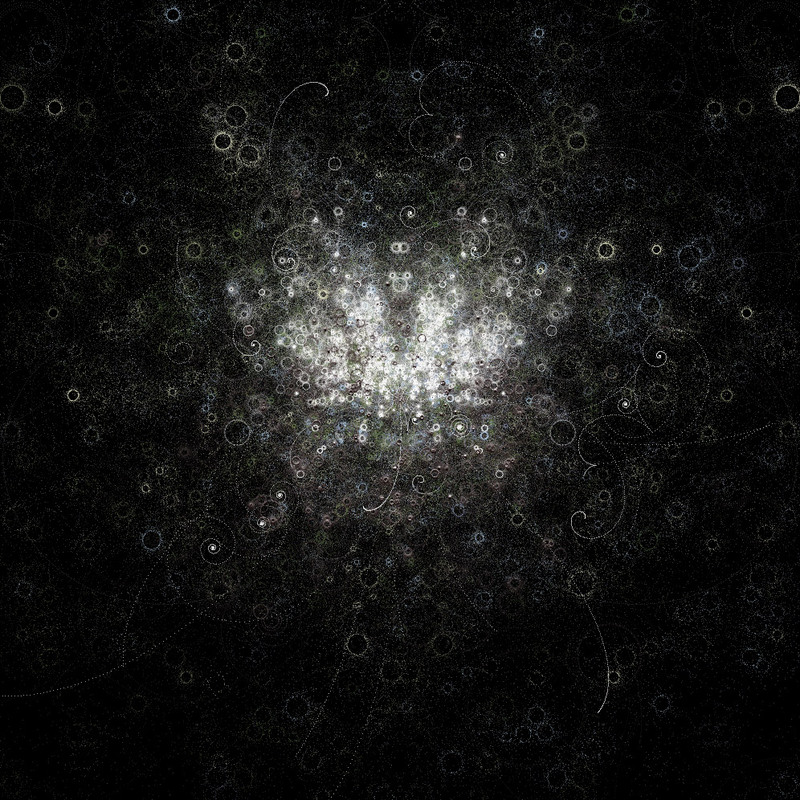 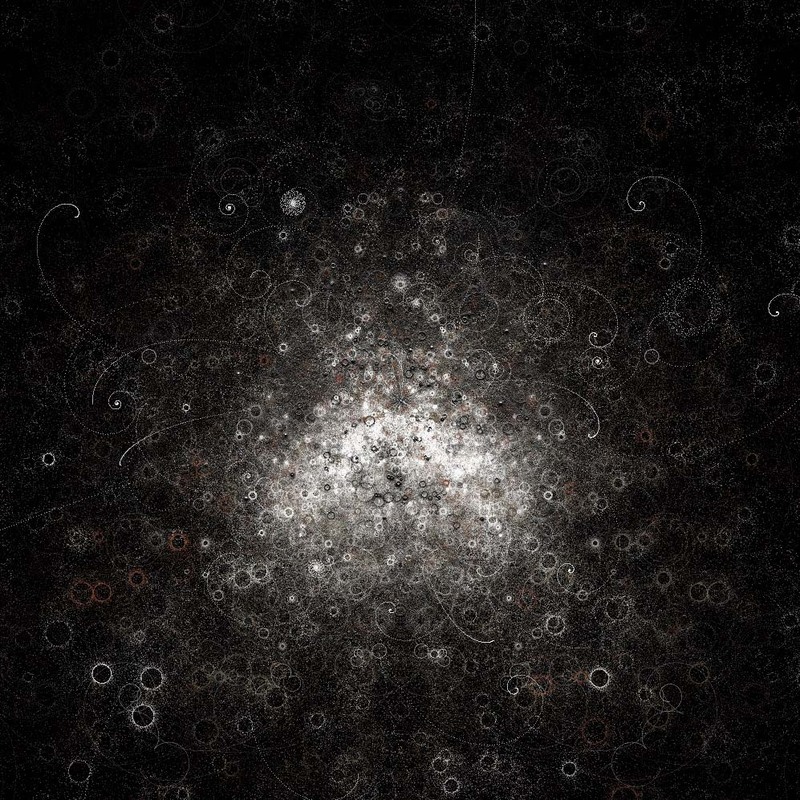 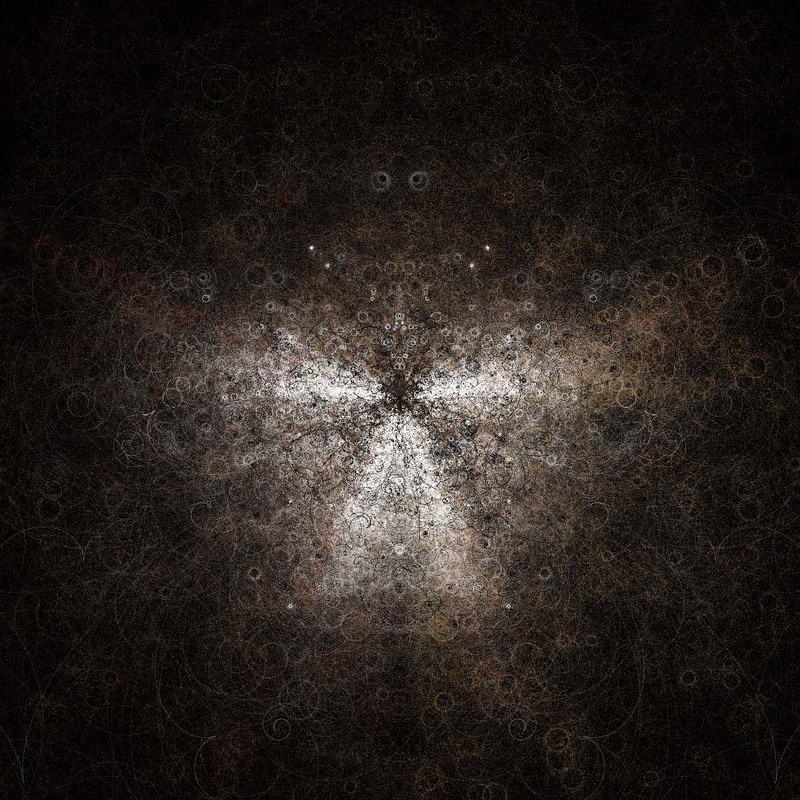 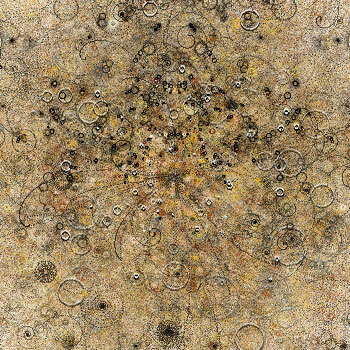 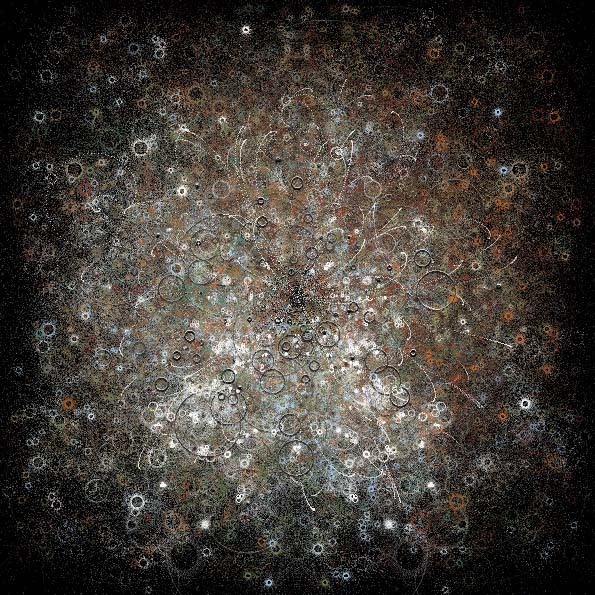 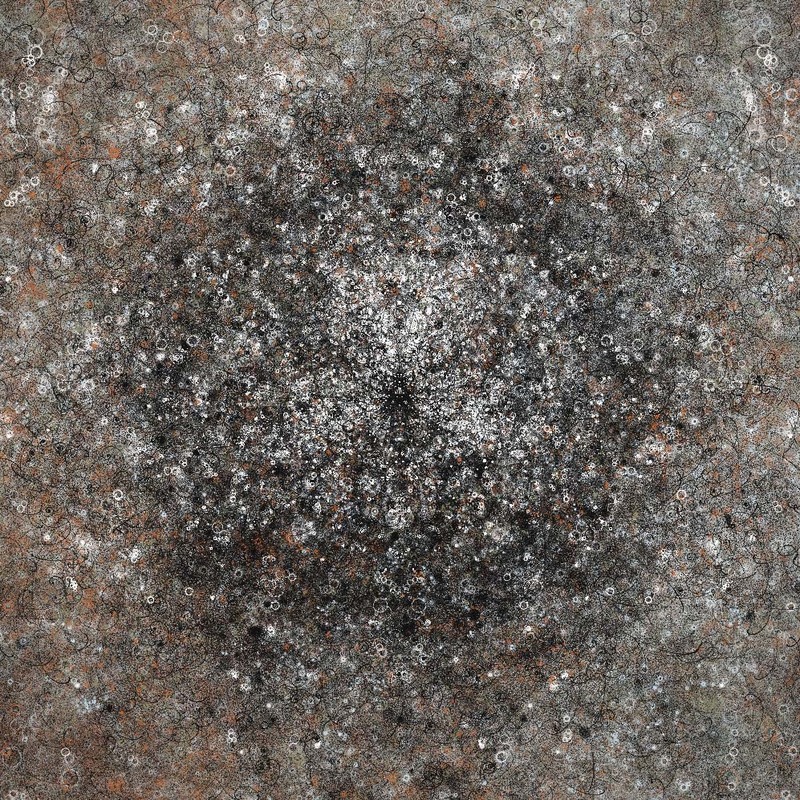 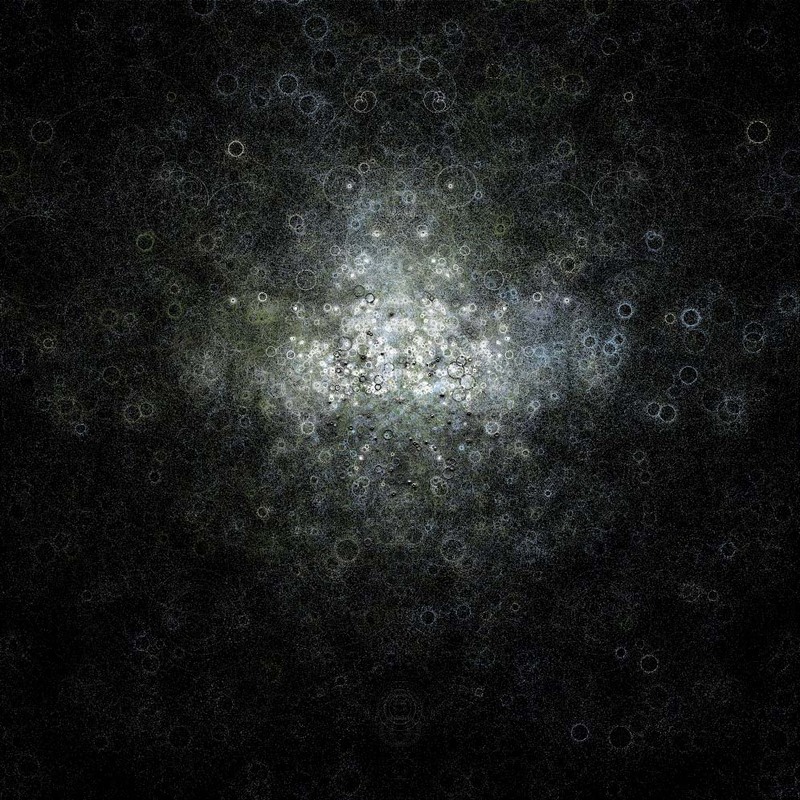 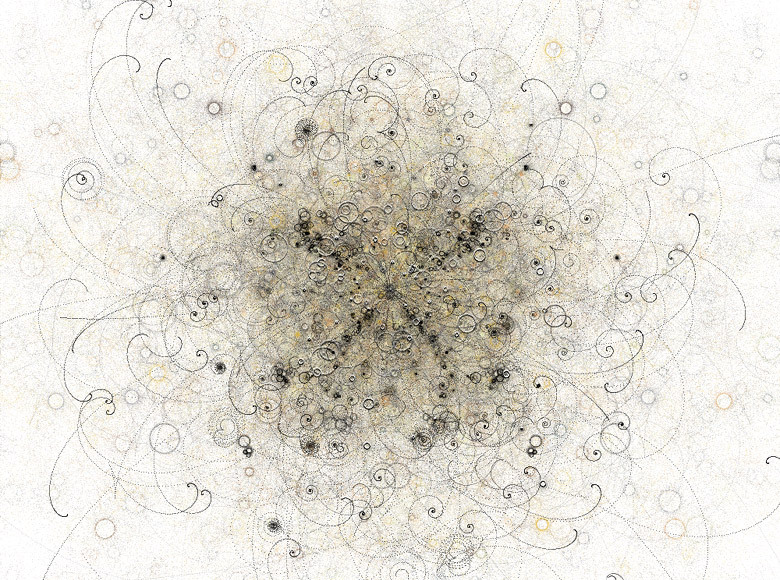 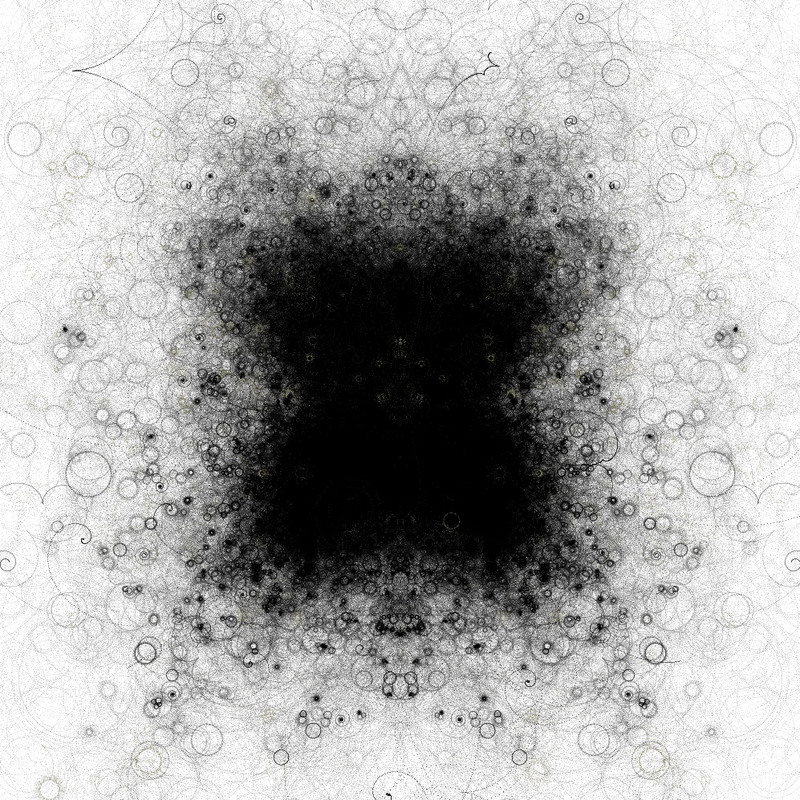 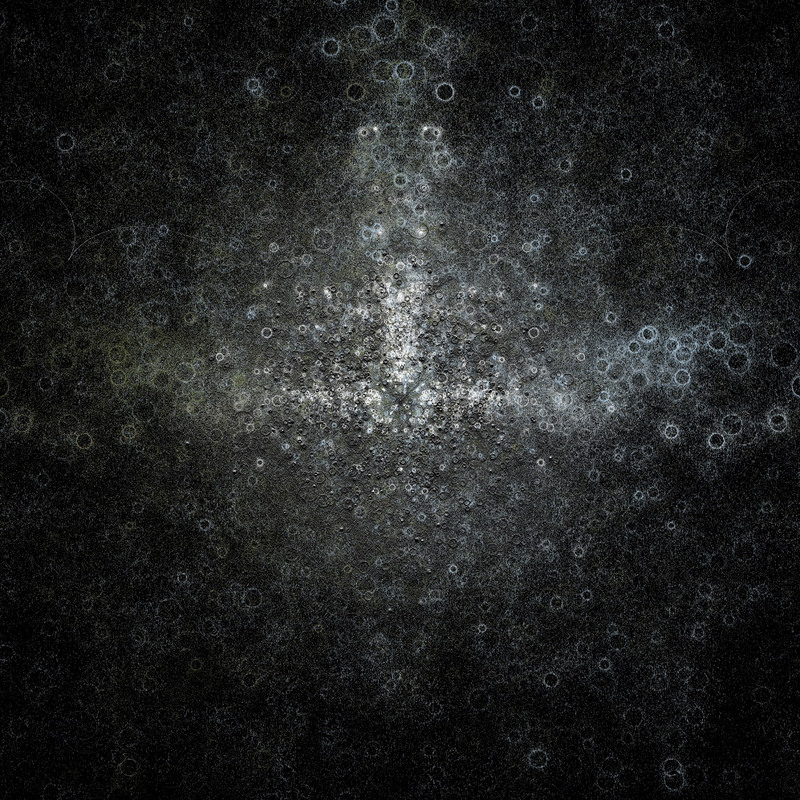 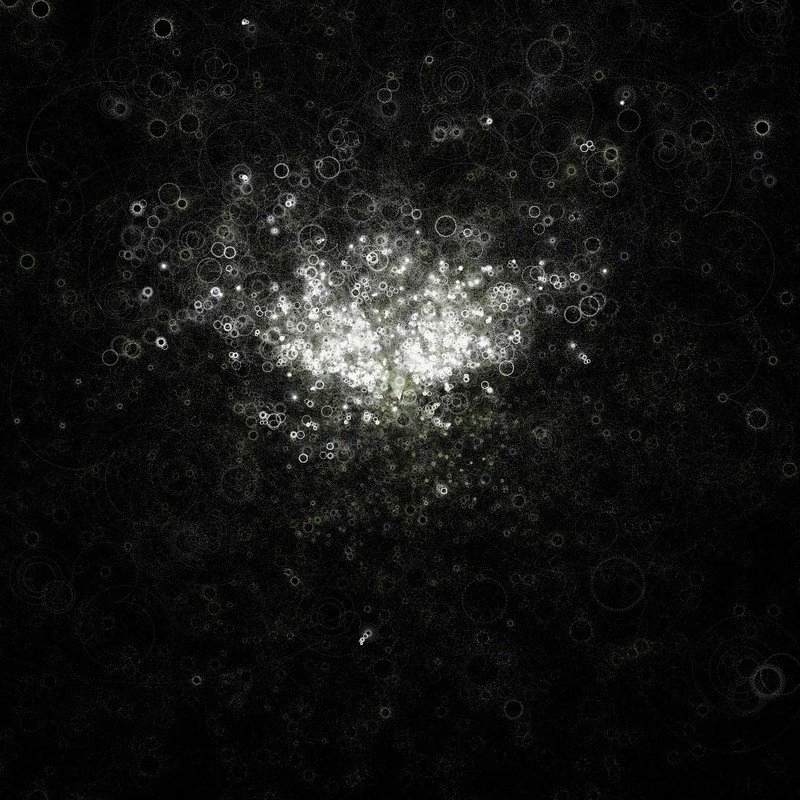 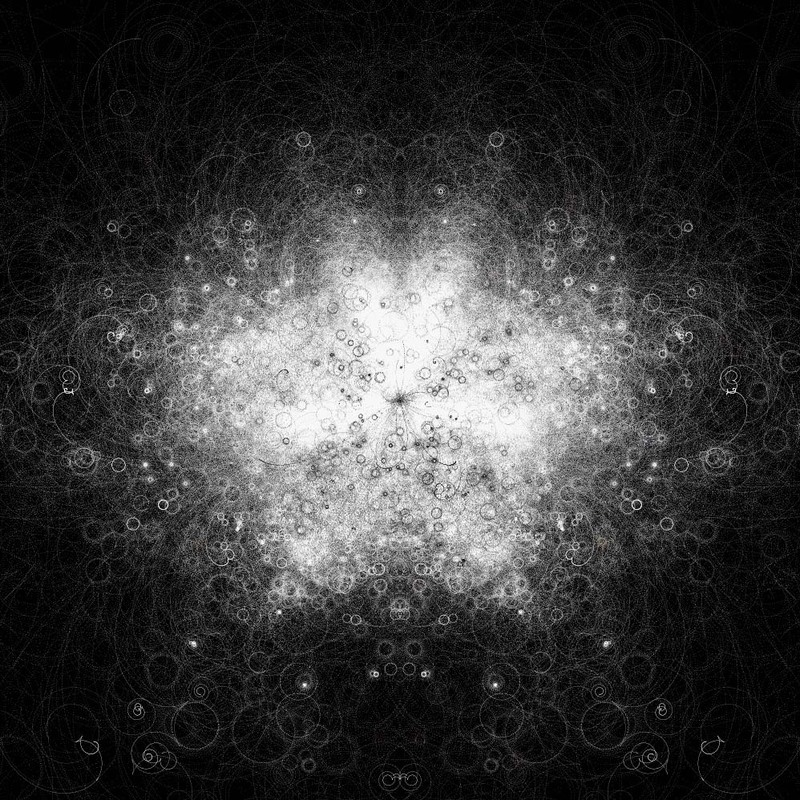 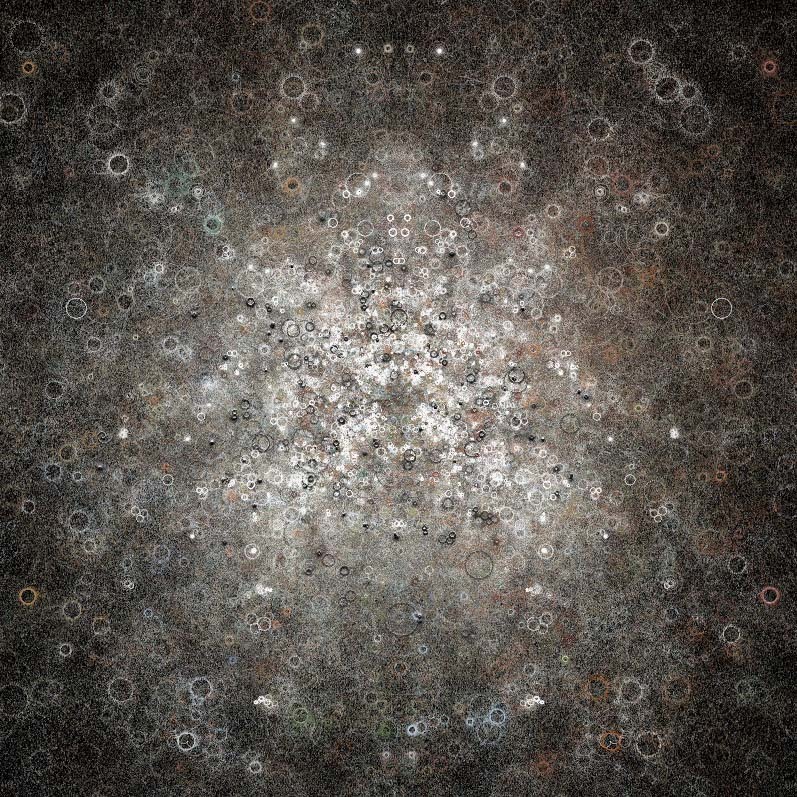 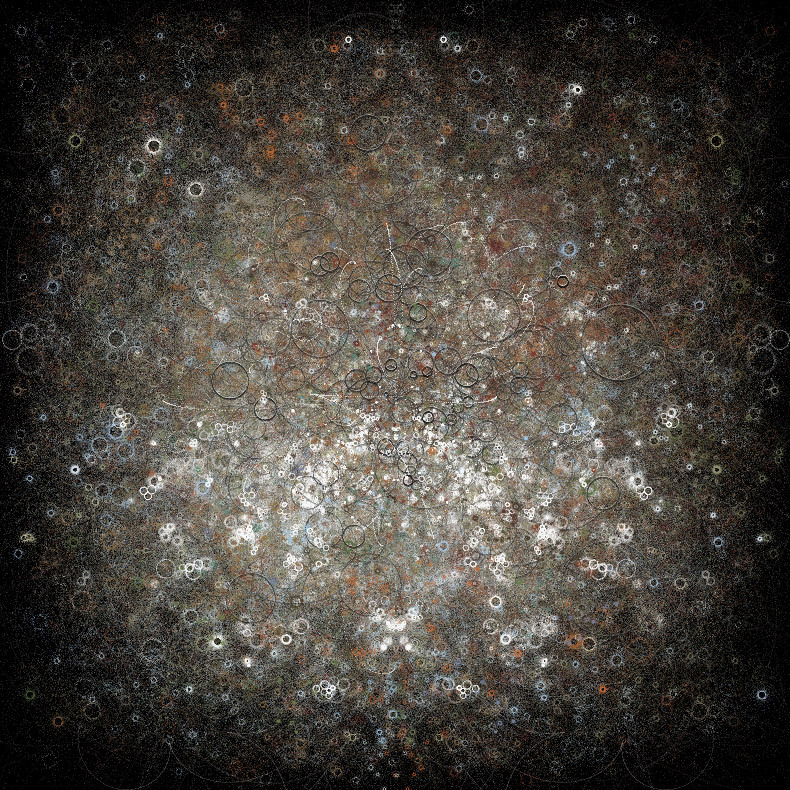 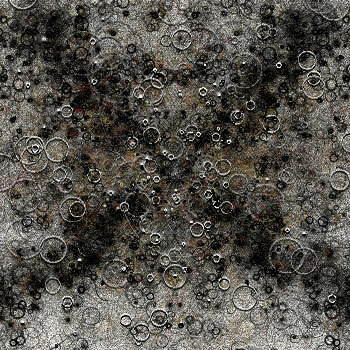 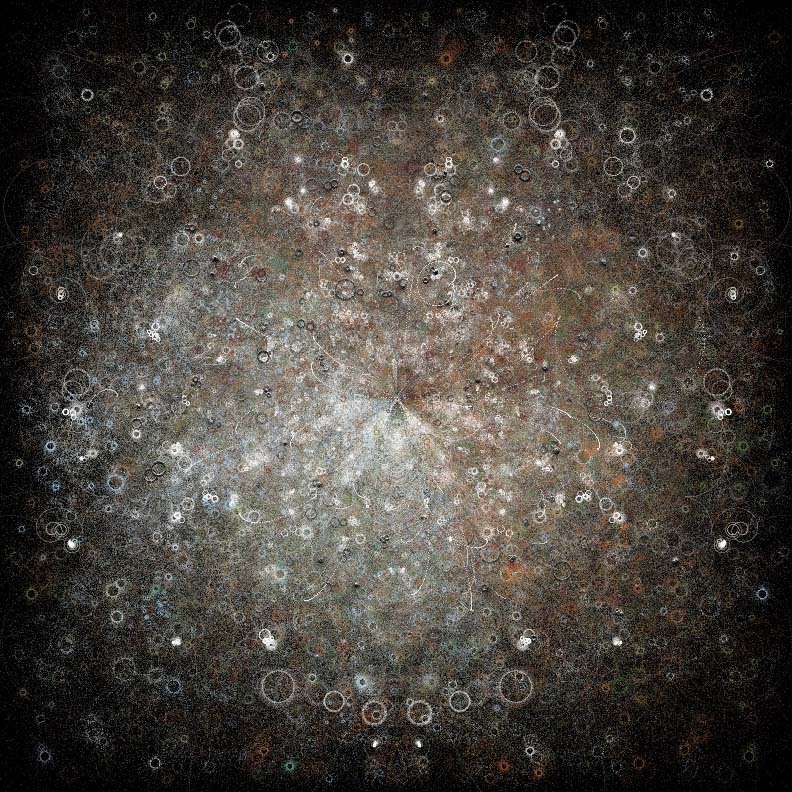 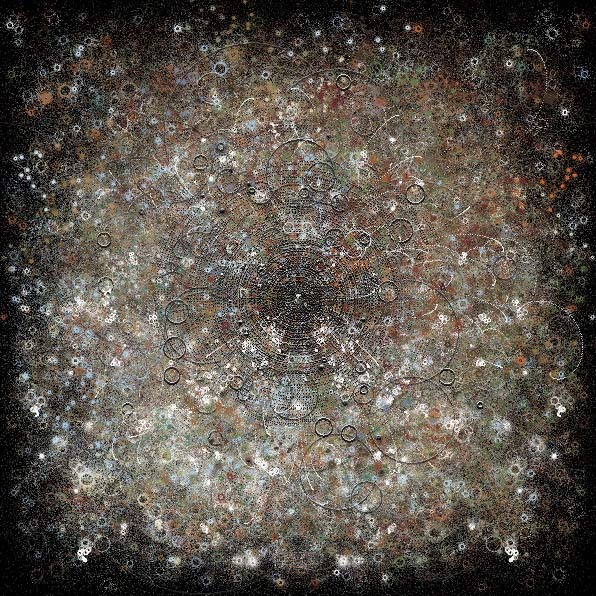 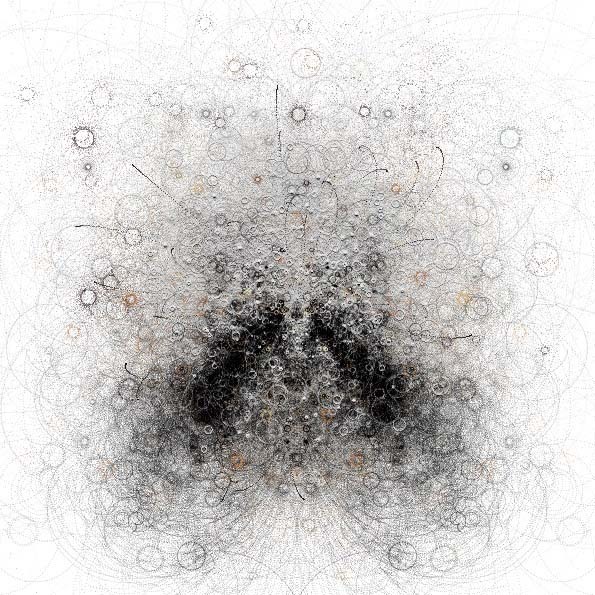 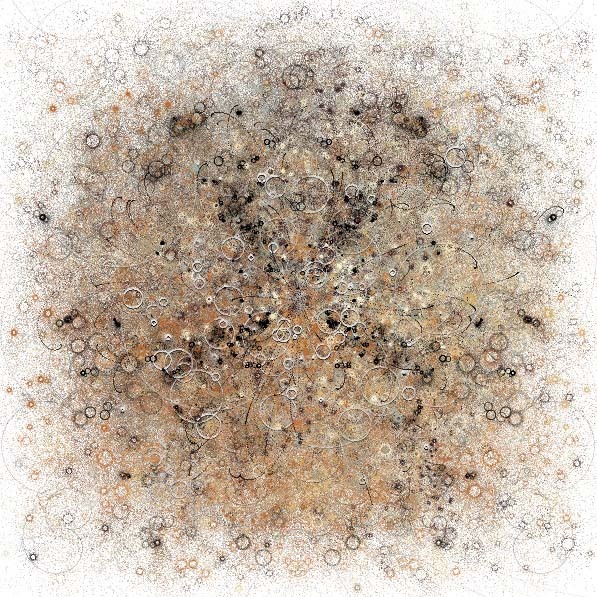 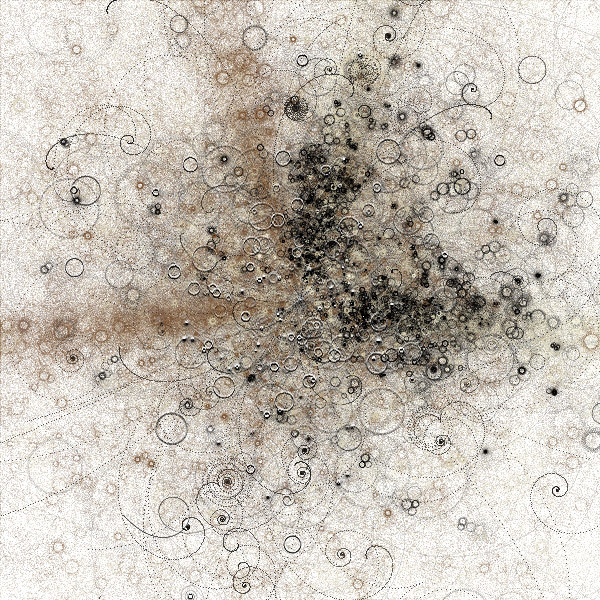 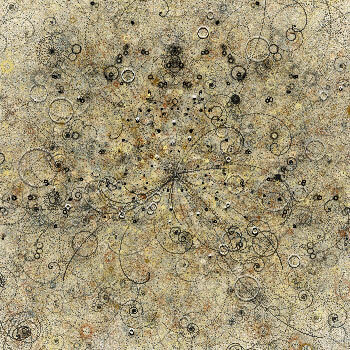 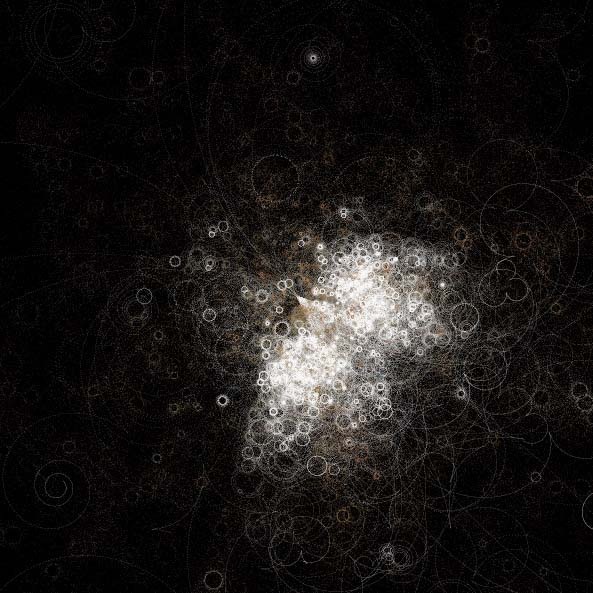 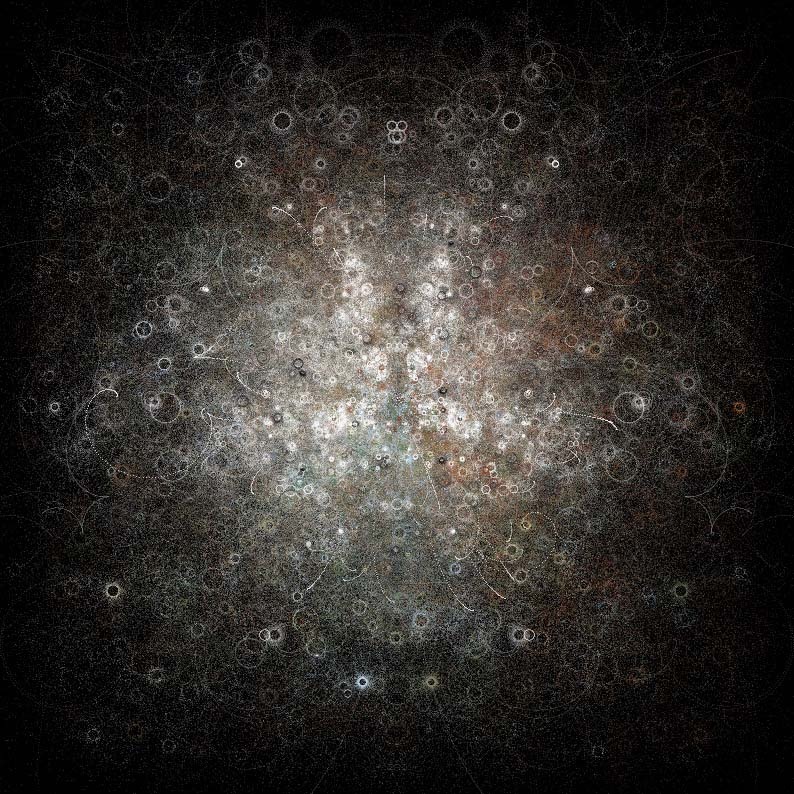 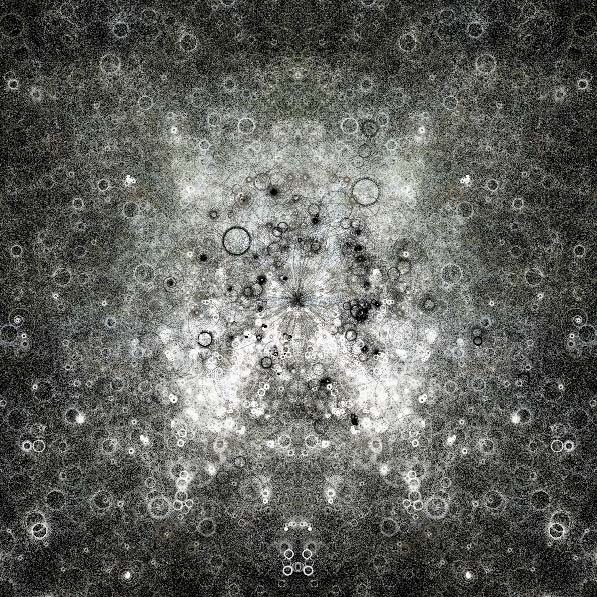 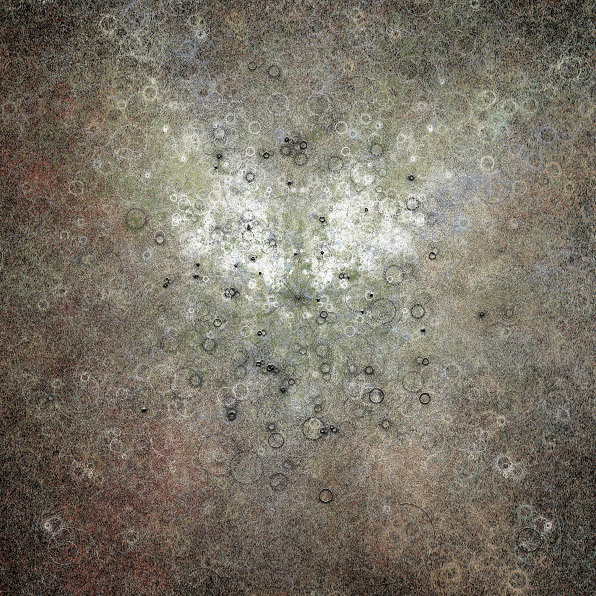 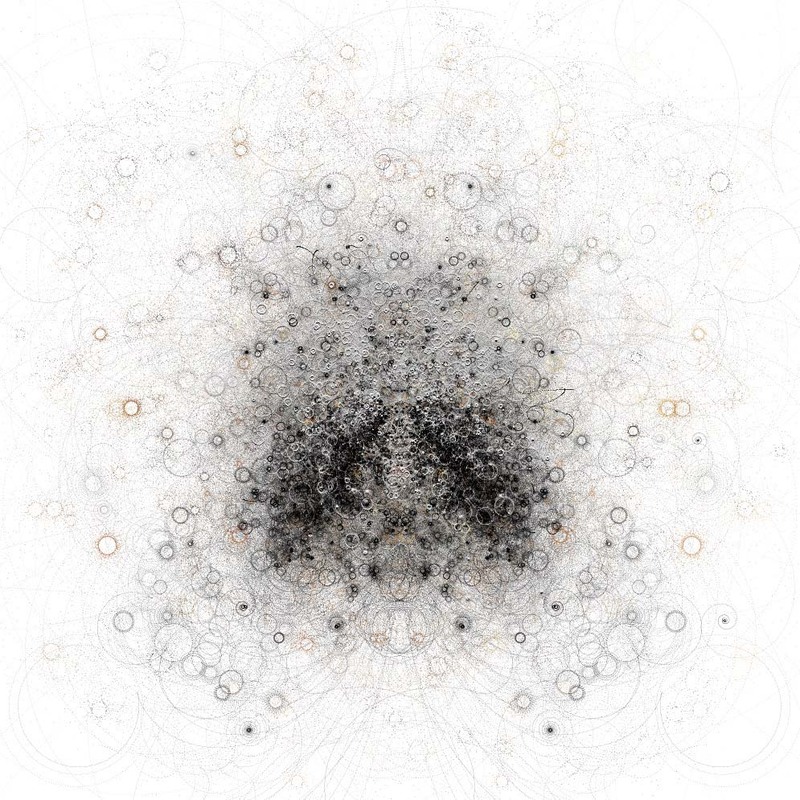 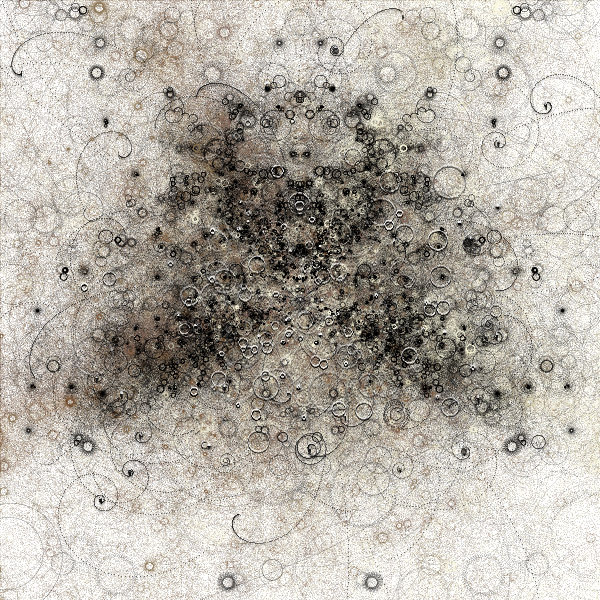 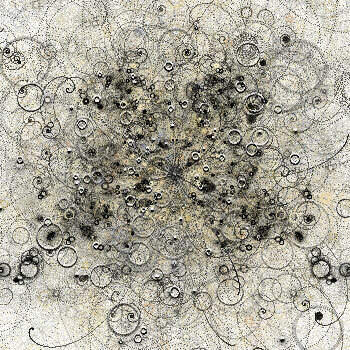 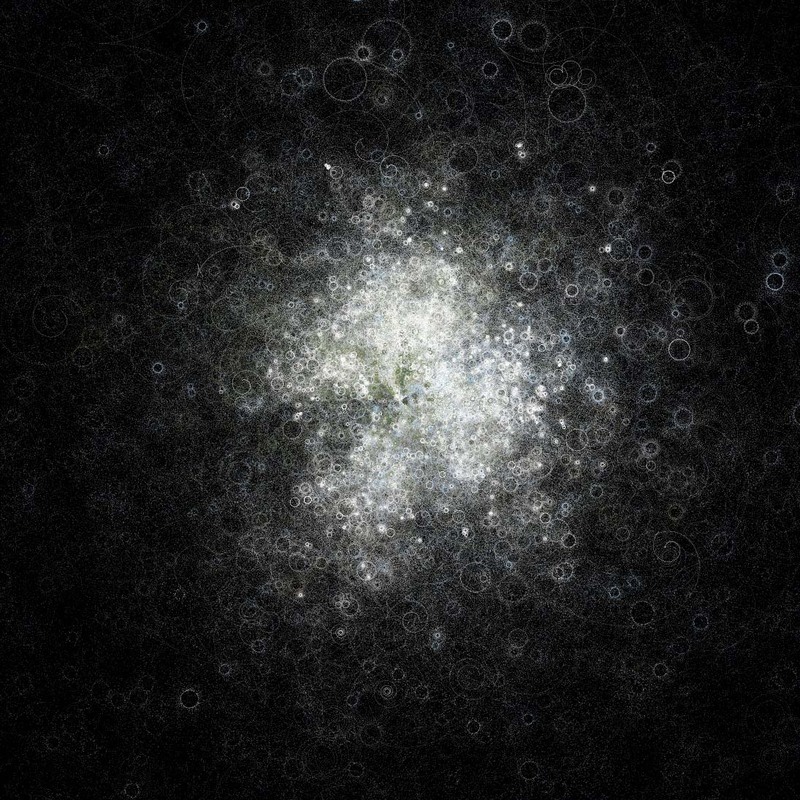 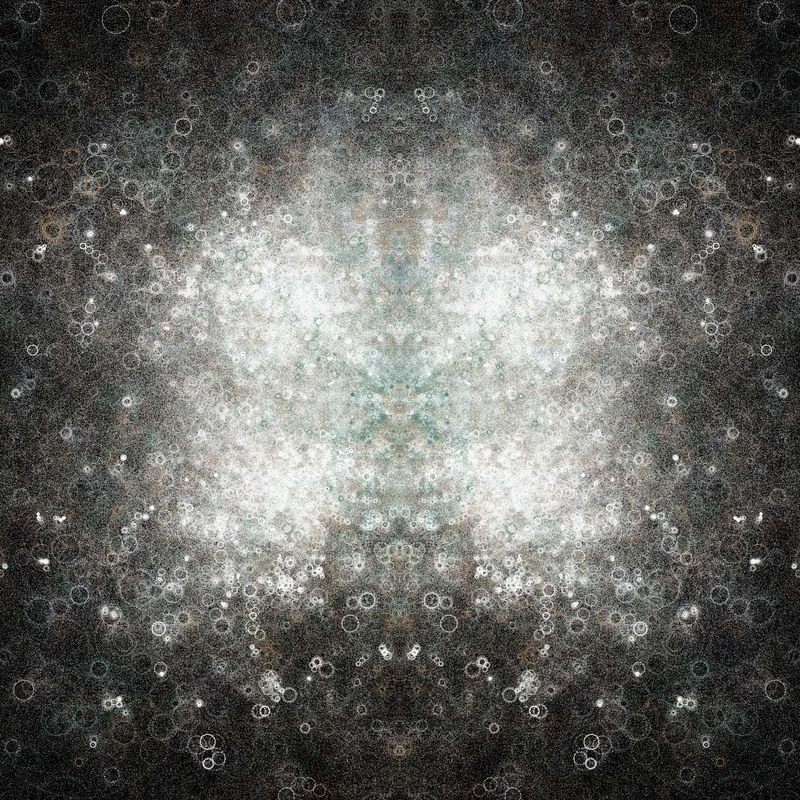 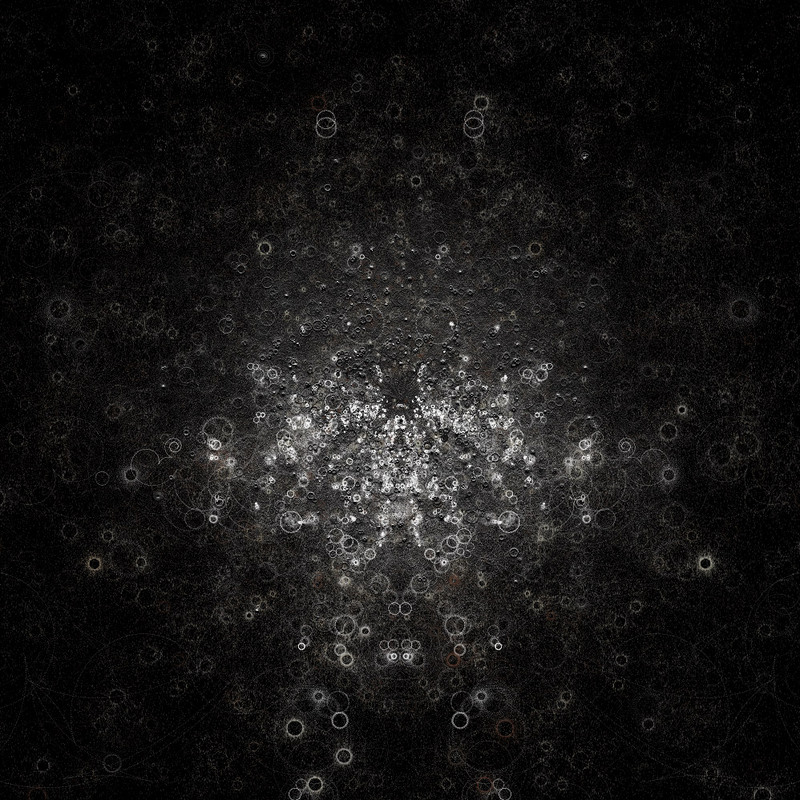 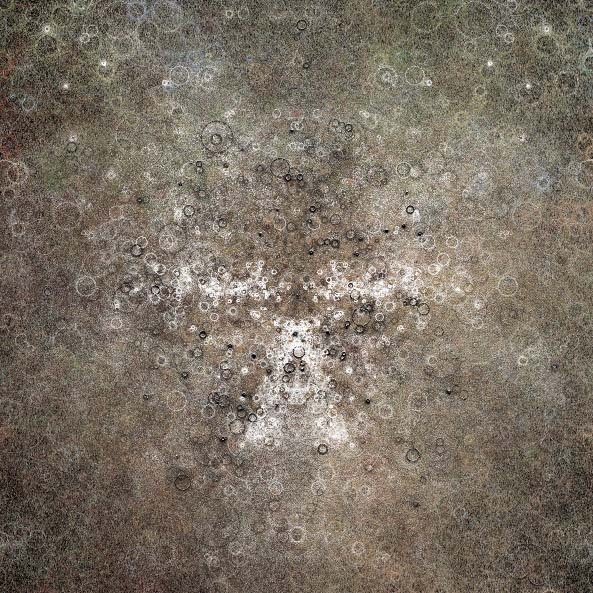 The Bubble Chamber is a generative painting system of imaginary colliding particles. 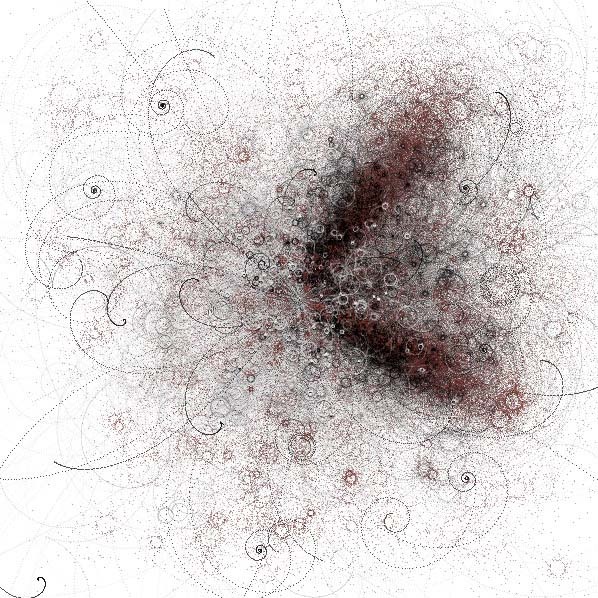 A single super-massive collision produces a discrete universe of four particle types. 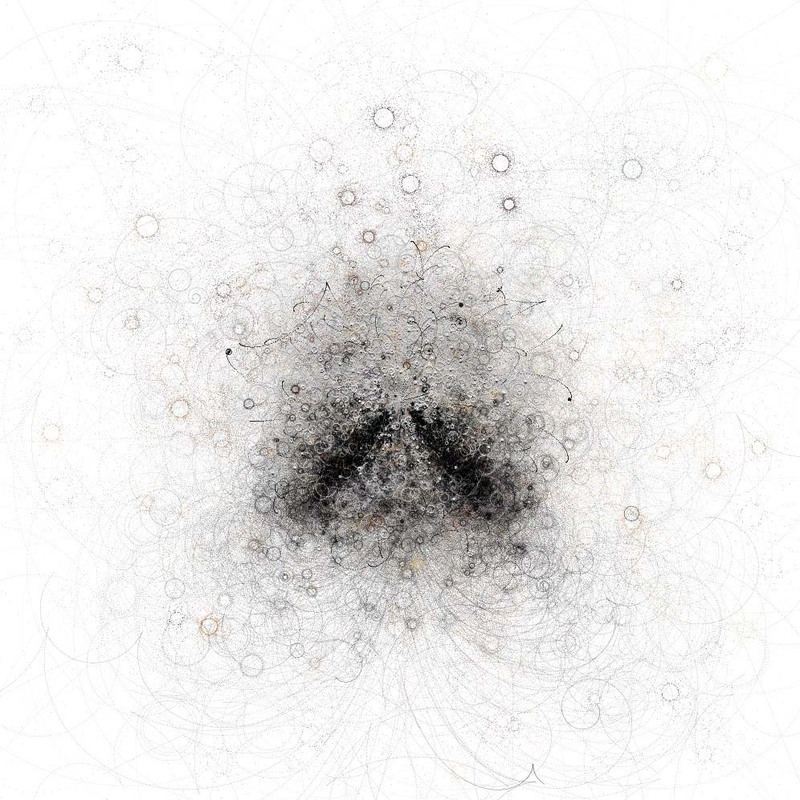 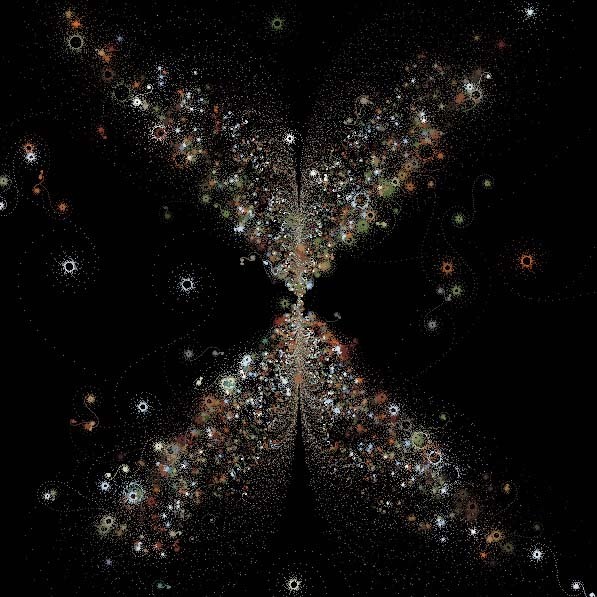 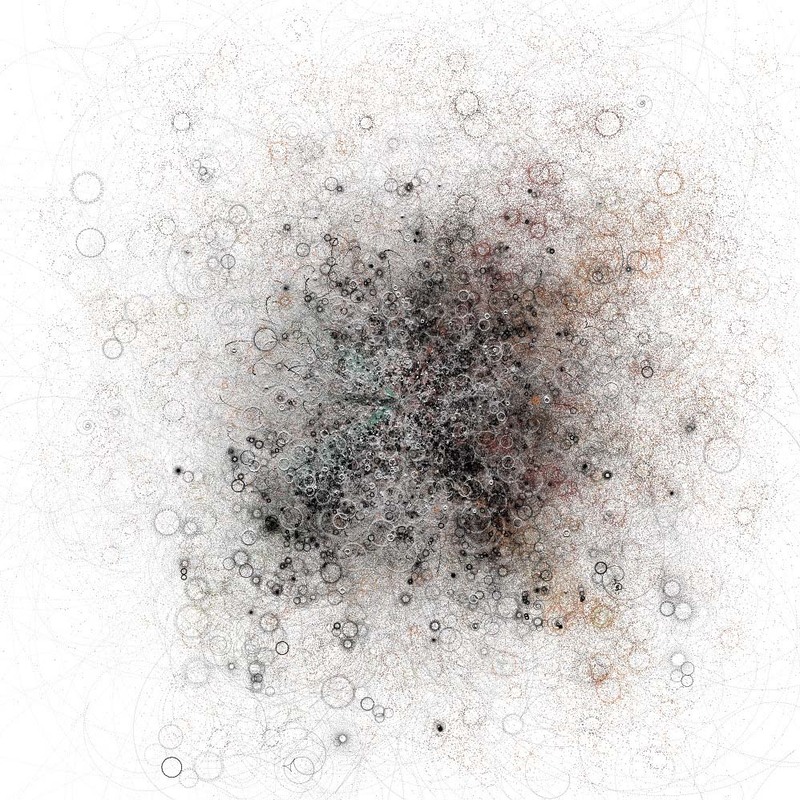 Particles draw their positions over time as pixel exposures. 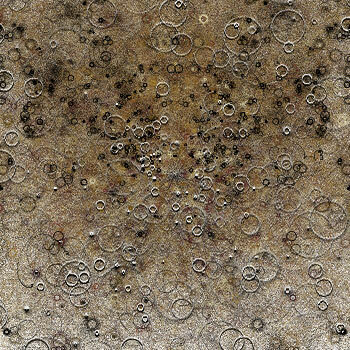 This project was created for a November 2003 exhibition within the Proccessing gallery. 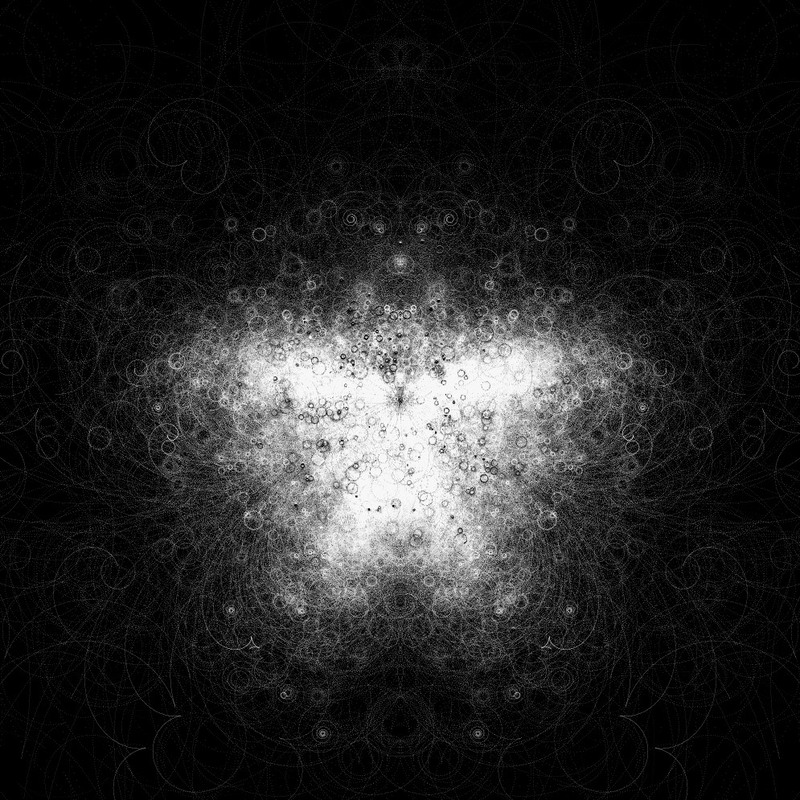 This online exhibit features a collection of inspiring works demonstrating the awesome powers of the Processing environment, created by Casey Reas and Ben Fry. 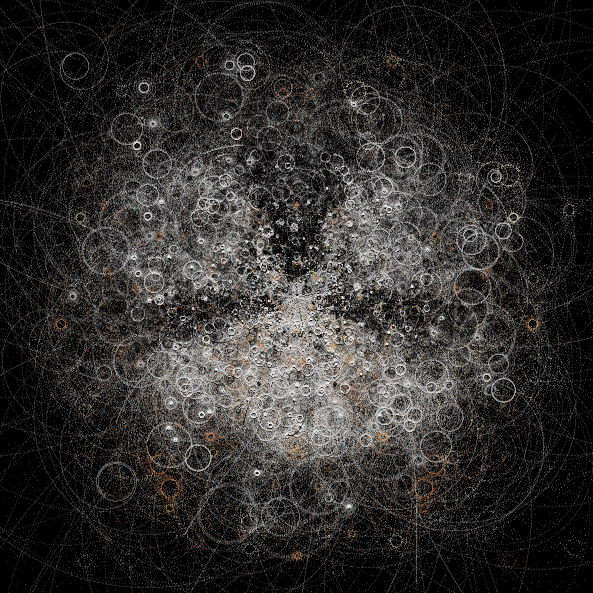 TIMELAPSE Time lapse of collision event (10 minutes, discontinuous sequence). 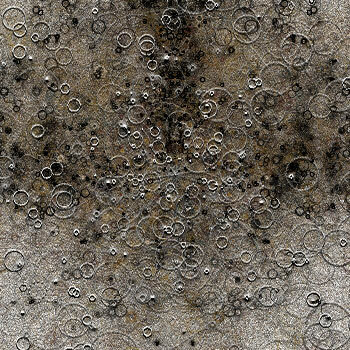 Four types of particles exist. 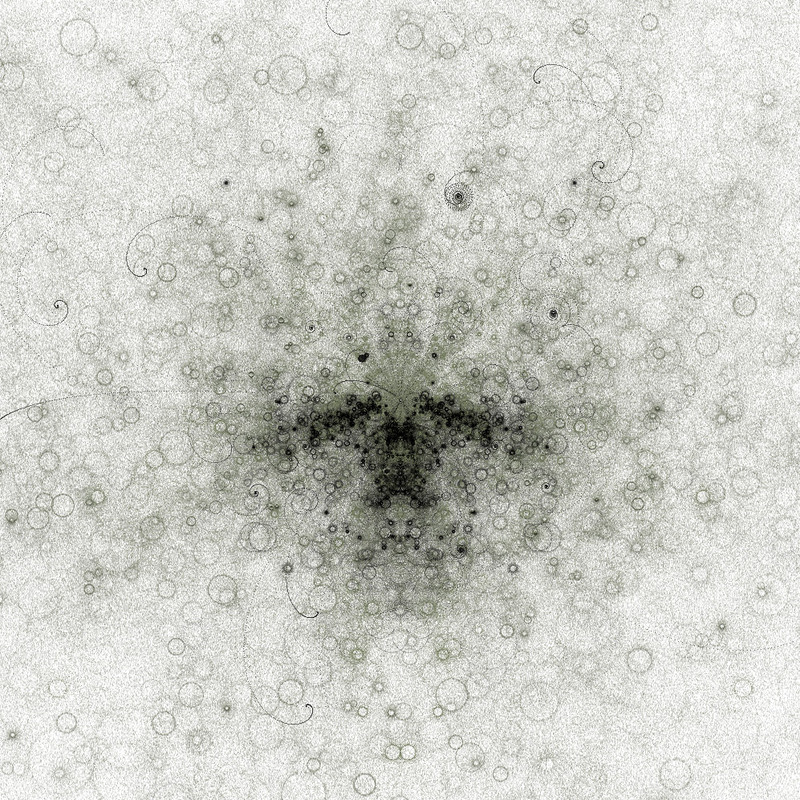 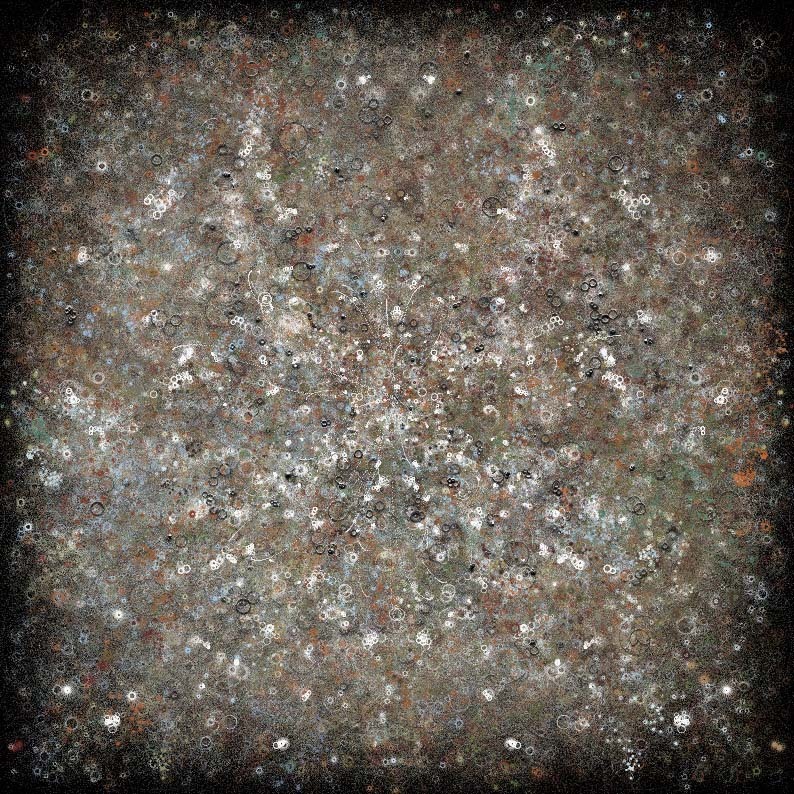 The behavior and graphic appearance of each particle type is unique. 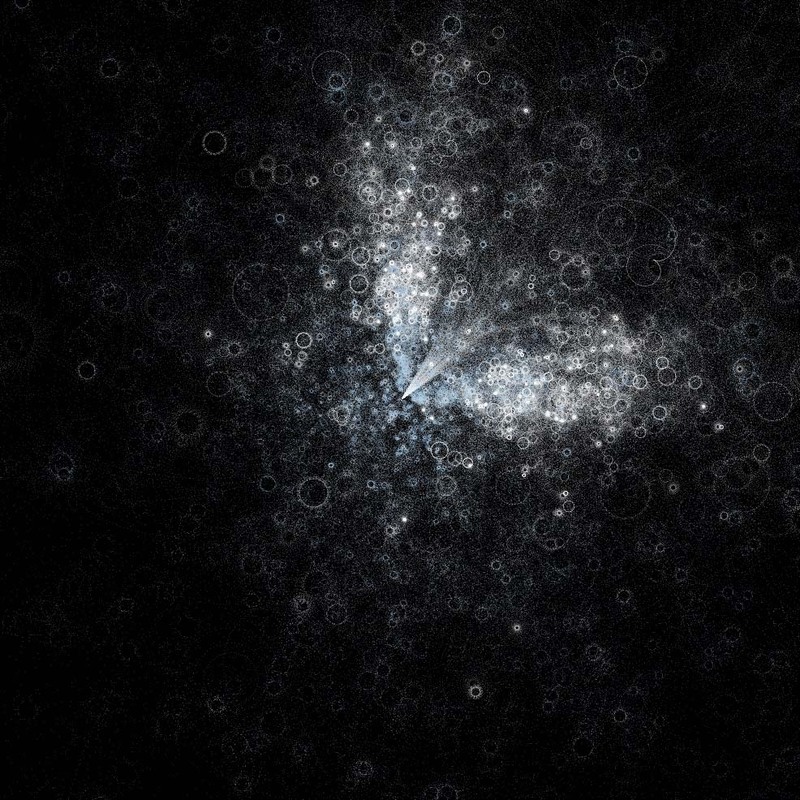 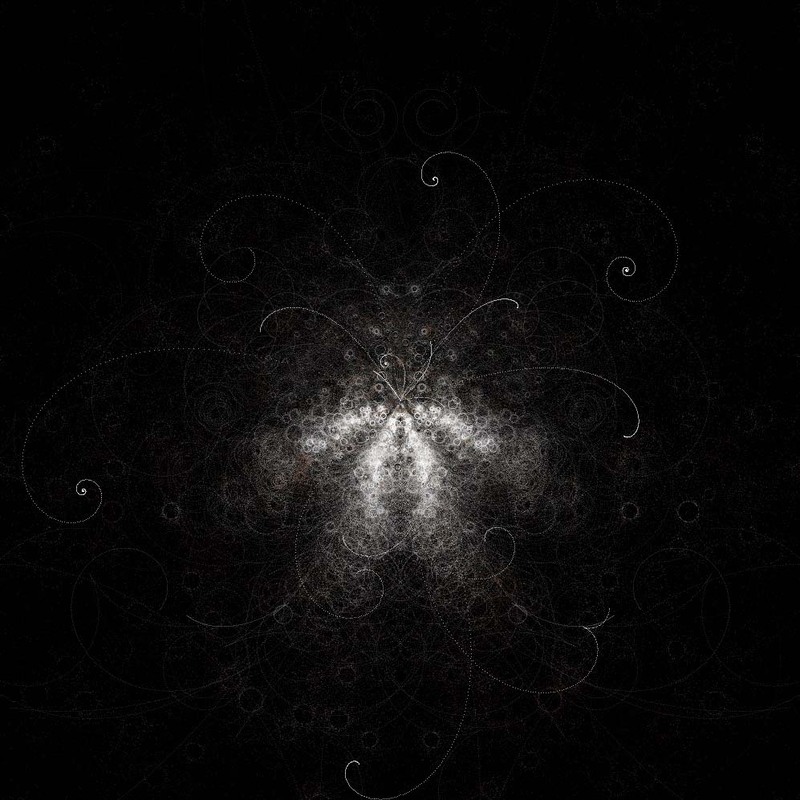 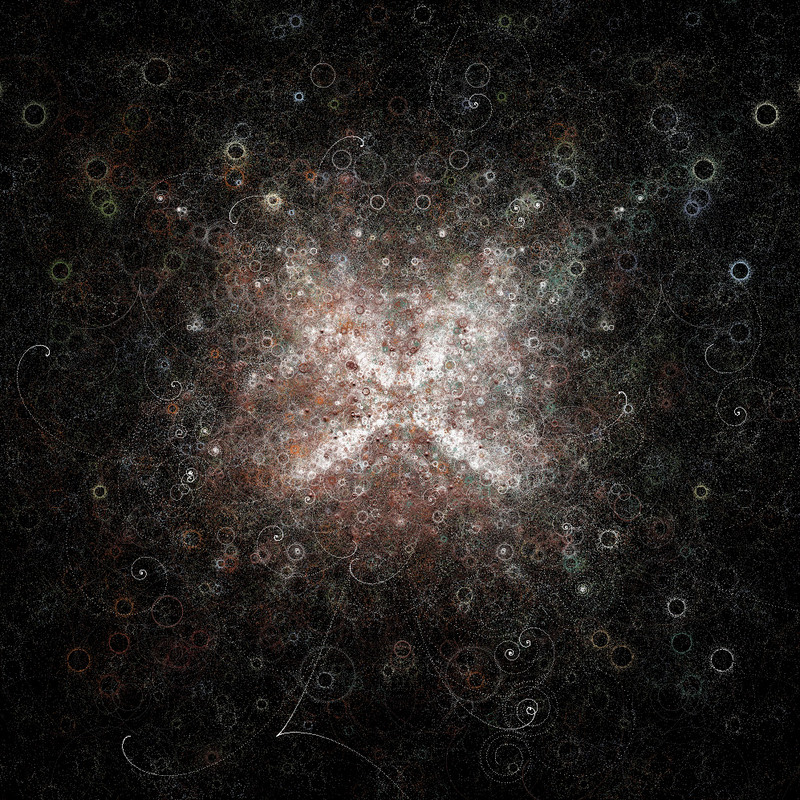 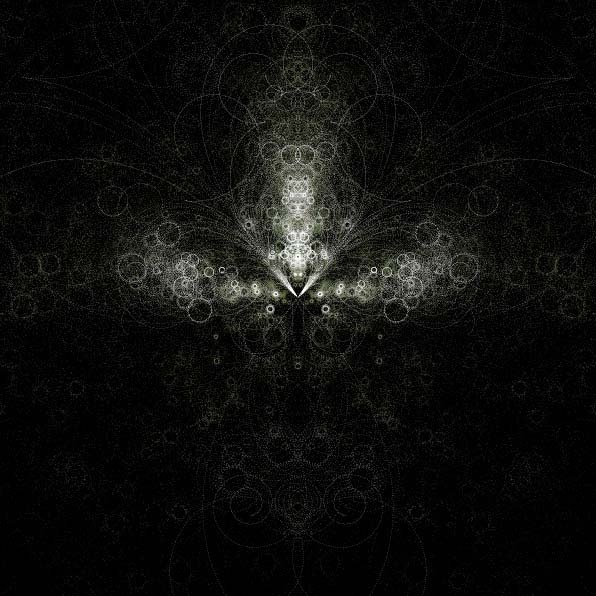 A more complete description can be found in the particle classes located within the source code. 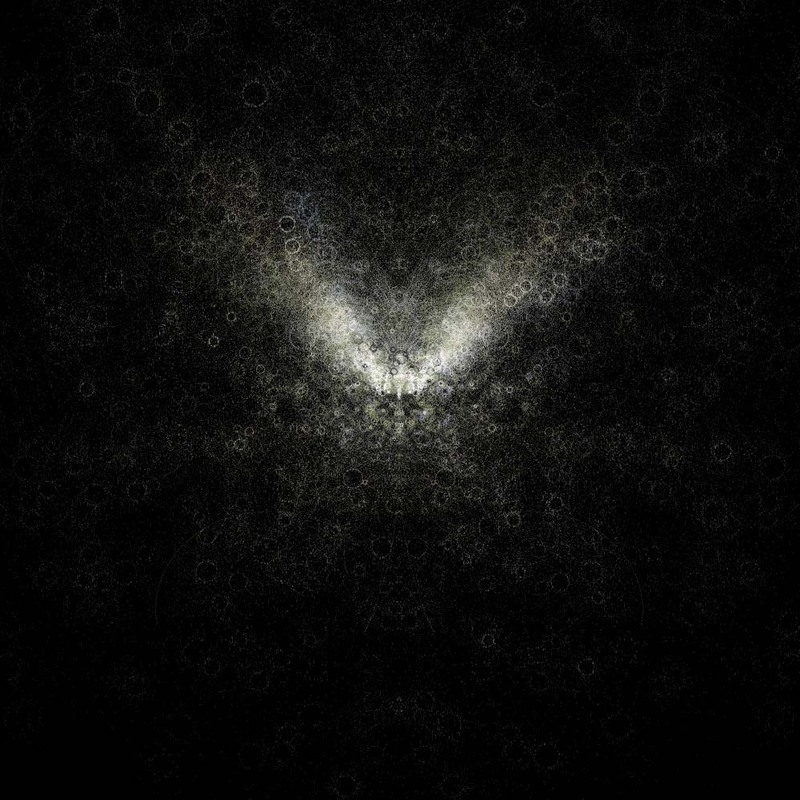 No simulation of quantum phenomena is being attempted here. 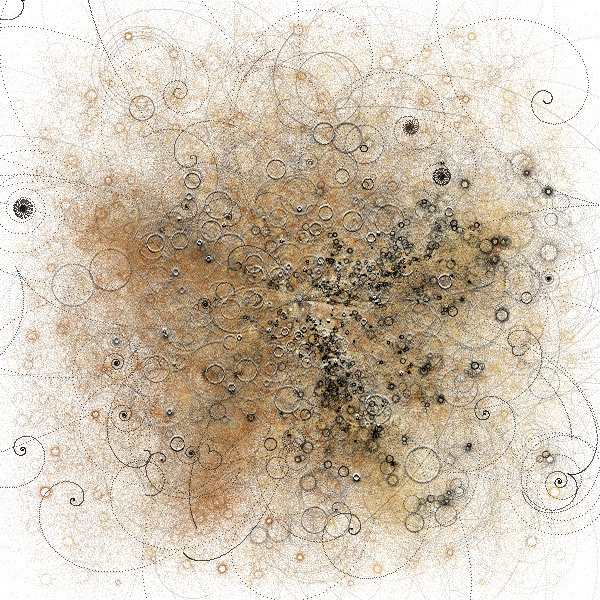 The particle names have been borrowed to ease personalization of the objects. 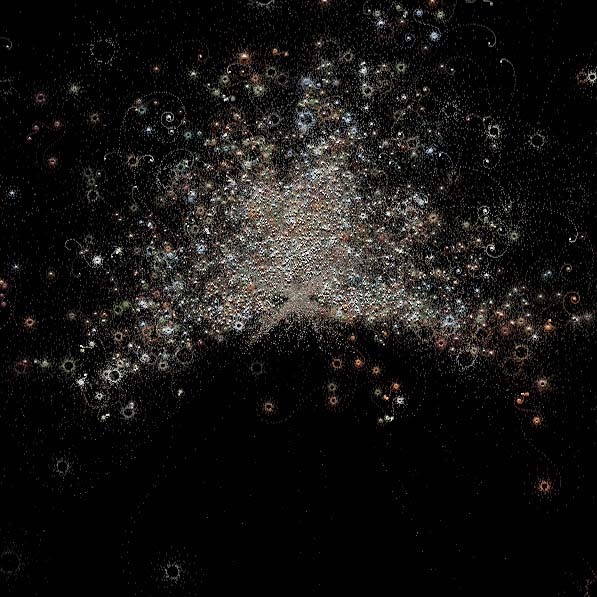 Each collision event contains approximately 216 random calculations and over 1 billion pixels of information. 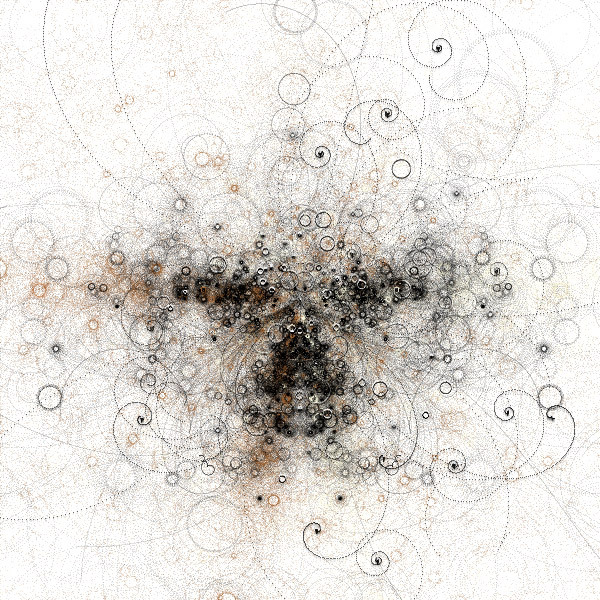 This potent combination reveals a system with a lifetime of variation. 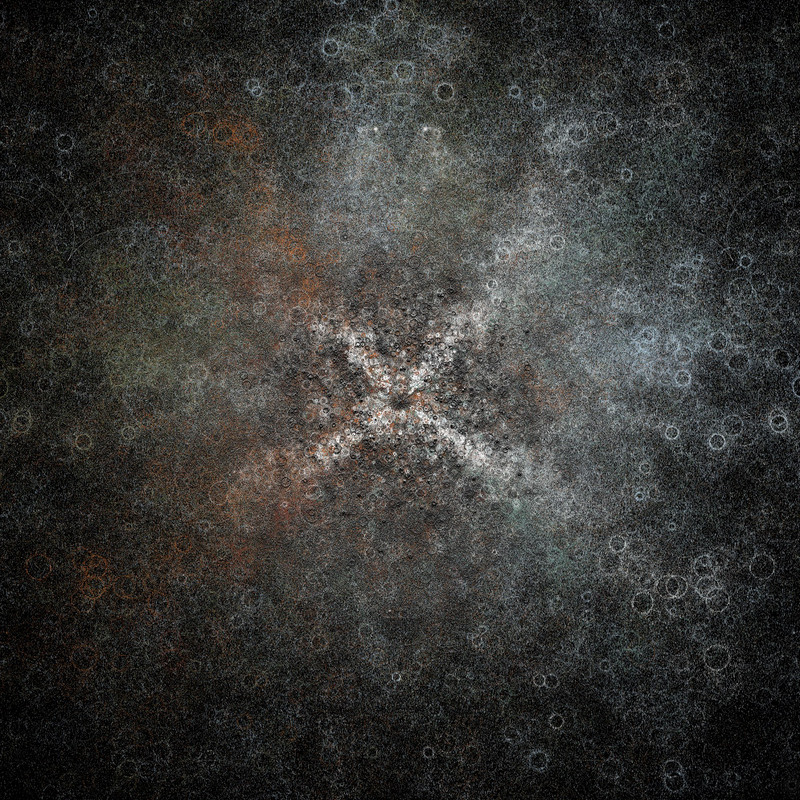 Every collision creates an entirely unique rendering.